Posters should be no larger than 4 feet wide x 3 feet tall in size. 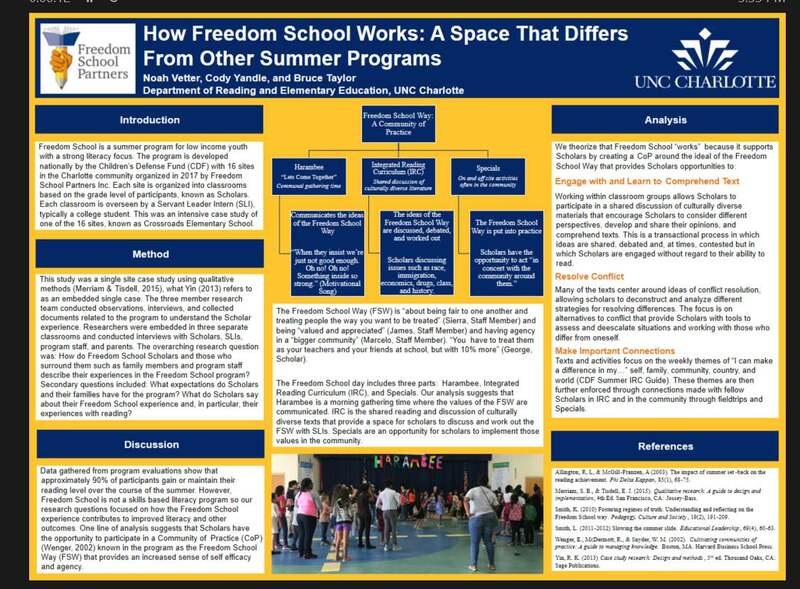 Please see the attached template for specific information about how to format your poster. Feel free to customize poster subheadings according to disciplinary conventions. 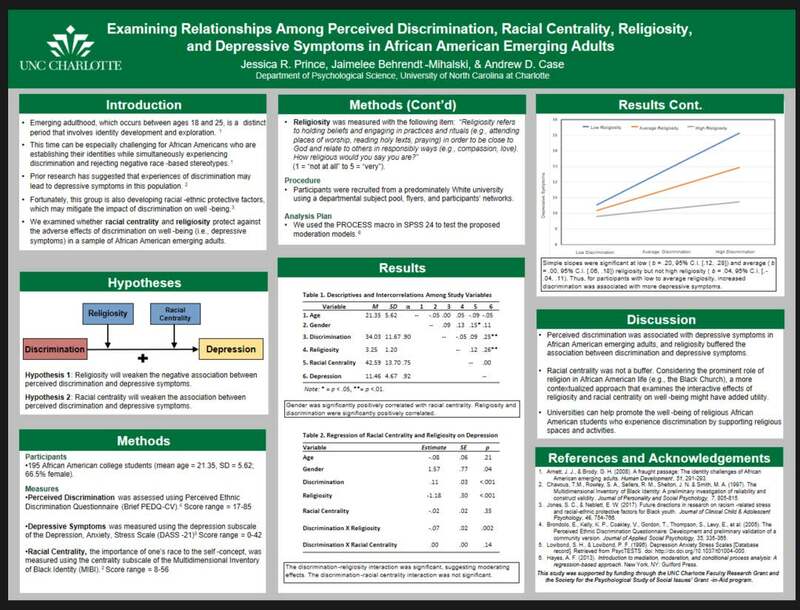 We’ve provided some examples of posters (below), but if you have questions about “typical” research posters in your discipline, we recommend that you consult your instructor/honors program director for assistance. We will provide foam board/poster board, clips, and easels for all participants. 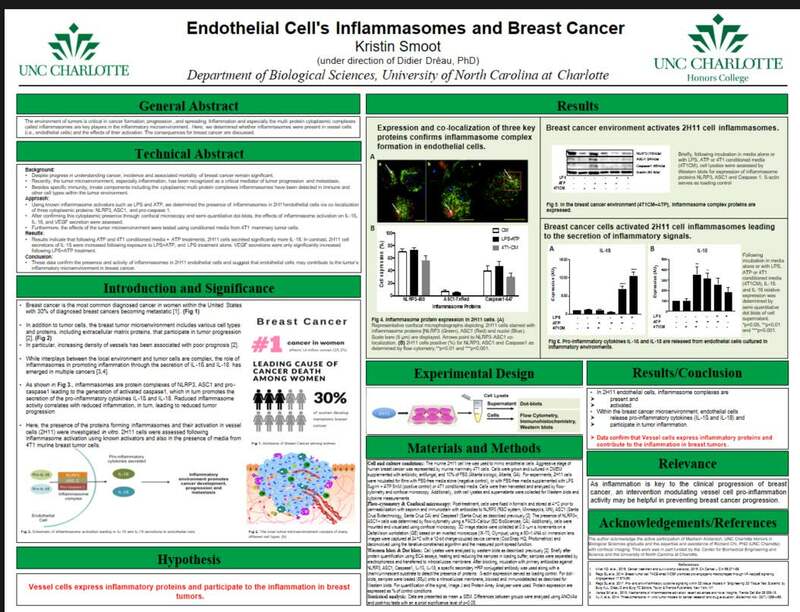 UNC Charlotte presenters should send a PPT version of their poster to Noah Vetter (nvetter@uncc.edu) no later than Friday, November 24 for printing. Presenters should set up their posters in Levine Hall by 2:45 on December 1st.